Artificial stories don’t get viral. Narcissistic selfies from self-proclaimed “travel influencers” start to lost their appeal in a over-saturated social media landscape. At Legit Productions, we believe in the power of true human stories to promote a travel destination. Not scripted stories told by actors, not artificial “advertorial stories” with fake smiles and expected questions and answers. We believe that authentic interviews are the future of destination marketing. 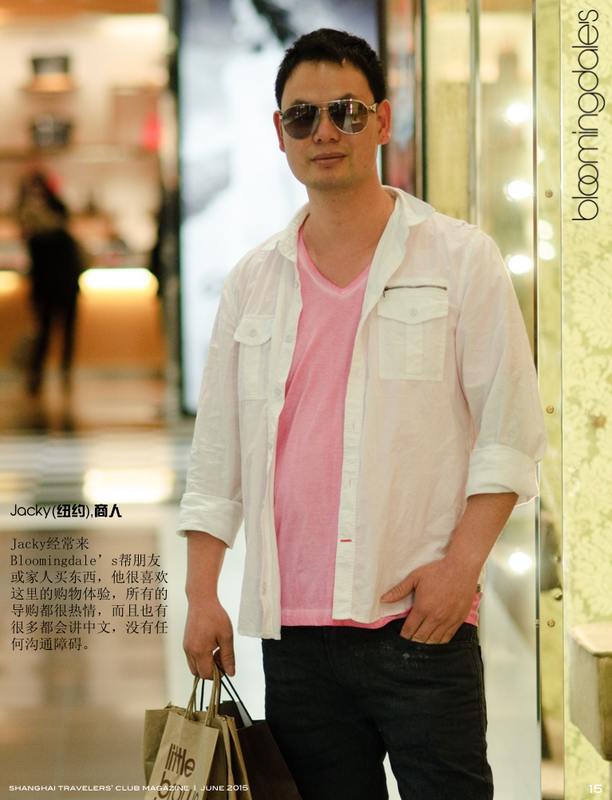 The project: Production of a promotional campaign for Bloomingdale’s NYC flagship store on Third Avenue focused on affluent Chinese tourists to be published in the Shanghai Travelers’ Club magazine, a Chinese luxury travel magazine. What we have done: Instead of producing a traditional advertorial piece about the store itself and the prestigious brands available at Bloomingdale’s, we requested permission to make interviews of actual Mainland Chinese shoppers at the store, and ask them about their own story, their trip to New York and what they liked about their own Bloomingdale’s shopping experience. It has never been done before and we had to make our case and have the idea cleared and validated at multiple levels at Bloomingdale’s. We came to the store with a Chinese journalist and a renown professional photographer specialized in headshots with a high level of stress for all the team. The question was how to approach in a respectful manner Chinese shoppers, without disrupting the shopping experience and the sales cycle, and most importantly request permission from them to be part of this production. The result: We conducted nine interviews in an afternoon (when we expected to be able to make three or four at most), and the story was published, featuring these portraits of actual Chinese shoppers. When an average editorial story in this magazine reached about 200,000 readers, this particular story reached 600,000 readers and was one of this publication’s most successful story. The project: Production of advertorial to promote the Broadmoor to be published in Gervois magazine, Gervois Hotel Rating’s members’ publication, as the Broadmoor has been consistently rated #1 hotel in the United States by Gervois Hotel Rating. What we have done: We started the project by taking photographies of the rooms, restaurants, spa, golf course, as we initially envisioned the project. Then, after a full day at the hotel, our team was so impressed by the extraordinary quality of service -beyond any other hotel we had seen before- than we decided to shift the angle of the story and focus exclusively on the human side of the hotel: the amazing staff members. We came back to the hotel’s management team ad requested permission to freely conduct interviews with members of the staff who would accept to be interviewed. The result: We produced a story exclusively comprised of team members’ headhots and interviews. No photography of rooms, pool, spa, restaurants. Just the most important aspect of a hotel: its human assets. The project: Production of a promotional campaign for Mustang Monument, a luxury eco-resort in Elko County (Nevada), surrounded by protected wild mustangs (Founded by the philanthropist and businesswoman Madeleine Pickens). The result: We produced a series of interviews published in Luxury Hotels of America magazine and on the Chinese social media Weibo that generated an overall 380,000 impressions.